When Anna’s mother passed away unexpectedly, her grief was immense. And not only was she left dealing with her own grief, but also the list of questions surrounding her funeral and burial needs. Anna was overwhelmed with relief when she opened her mother’s filing cabinet to find, along with her mother’s Will, the details of her prepaid funeral. It was like a final gift from her mother, relieving some of the stress as well as the financial burden of paying for her funeral. We often hear stories like this from family members of those who have arranged and/or prepaid their funeral with Sovereign Funerals. Research published at news.com.au has revealed that only 10% of Australians reported that their loved one’s funeral had been prepaid, and this relieved stress during a difficult time. Also reported in the article is that prepaying a funeral at today’s prices, means you won’t be affected by inevitable funeral price rises in the future, meaning costs could be more than halved for a funeral in the long run. Because once a funeral is paid for, there’s no more to pay, regardless of changes to funeral prices in the future. It’s not something people like to talk about, especially with their loved ones, but if you do decide to prepay your funeral, ensure your family knows about it. Either tell them in advance, or keep the paper work, together with your Will, in a secure, easy-to-find place for your family. Why prepay your funeral with Sovereign Funerals? On April 25, Australians will pause as a nation to commemorate the day that the Australian and New Zealand Army Corps landed on the Gallipoli Peninsula in 1915. More than 11,000 ANZACs died at Gallipoli and more than 23,500 were wounded. All of them were volunteers. Dawn was considered the best time to attack. Soldiers awoke in the dark so that at the first sign of light, they were alert and awake. On ANZAC Day, we awake in the dark and keep vigil at dawn to honour their sacrifice. The ‘Last Post’ is played at the end of ANZAC Day services, as well as funeral and memorial services for service men and women as a final farewell. It signifies that their duty is over and they can rest in peace. Many cemeteries around Brisbane have dedicated Memorial Walls and Burial Sections as the final resting place for service men and women. This ANZAC Day, join with us as we commemorate and honour those who made the ultimate sacrifice for our freedom. You can find a complete list of Dawn Services, March Services and Main Services at the Returned & Services League of Australia Website. When it comes to burials, there are a few options to consider. Many people don’t realise they have a choice of burial sites. Simple and unimposing, if you’ve ever been to a lawn cemetery, you’ll see what appears to be an open field, but upon closer inspection, you’ll find that instead of traditional headstones, plaques are at ground level, on granite or concrete bases. In some cemeteries, lawn grave sites can be remediated. That means a cement beam is added at the end of the grave as a base for the plaque. Floral tributes can be placed on the cement beam, rather than the grass so it’s easier to keep tidy. As new lawn areas are developed in council cemeteries, lawn beams are being installed. Plaques are set on a desk-style base of granite or concrete, which is placed on a beam of concrete. There’s room for floral tributes on either side of the plaque. A new lawn grave can accommodate up to three burials, ensuring that loved ones can be laid to rest in the same location. This is what most people have come to expect from a burial site; Headstones that can be made from granite, concrete, sandstone or marble. The larger space on the headstone allows room for more creative designs and more words of tribute to your loved ones. Some cemeteries offer the option to families to purchase a burial vault. Vaults are above the ground and constructed of concrete within which the casket is sealed at the time of the burial service. Families can pre-purchase vaults for a single person or even for multiple family members ensuring families can be laid to rest together. There is no doubt that the loss of a child is an enormous tragedy. For this reason, many cemeteries have created special, purpose built memorial gardens for children to be laid to rest. Most are beautifully presented, allowing grieving parents to spend time at their child’s memorial in a pleasant and peaceful environment. Some cemeteries have a separate allocated space for former service men and women to be laid to rest among their comrades. These memorial sites are designed to pay tribute to the deceased verteran’s service to their country. Contact Sovereign Funerals to discuss burial options and at which cemeteries your preferred burial option is available. In the days following the death of a loved one, grief can be mingled with stress as you start to think about the mounting ‘to do’ list. Who do you need to inform? How do you close all their accounts? Where do you start? To help, we’ve compiled a list you can work through to ensure you haven’t missed anything, and hopefully it will relieve some stress during this difficult time. Apply for a Queensland Death Certificate – Generally your Funeral Company will take care of this on your behalf. Get a copy of the Will. You may contact their Lawyer or The Public Trustee to find it. You’ll then need to make an appointment with The Public Trustee. If your loved one died without a Will, an Administrator will manage their Estate. If they were receiving income support – Download the Advice of Death for here. And you may be eligible for a Bereavement Allowance, usually paid for up to 14 weeks if your partner has recently died. Apply here. You may be eligible for a Bereavement Payment to help you adjust to changed financial circumstances following the death of your partner. Apply here. Apply for an interest free Mortgage Relief loan from the Department of Housing and Public Works which is available to those in crisis, including following the death of your partner. Email: loaninformation@communities.qld.gov.au or contact a Housing Service Centre. Notify the Australian Taxation Office to complete their final tax return. If their business needs to close down following their death, you can cancel the ABN with the Australian Business Register here. Closing their Bank Accounts and claiming/cancelling insurance – you’ll need a copy of the Death Certificate, and the Will, or authorised legal representation to do this. Update the Land Title of their property. You can find all the relevant forms here. When someone dies, any land they own in Queensland will first transfer into a testamentary trust, which will have an appointed trustee. As the trustee of a deceased estate, you are liable for land tax if the taxable value of the trusts land is $350,000 or more. You can apply for an exemption from the Queensland Government. Contact Australia Post and arrange to have their mail redirected if you live at a different address to the deceased. Close their Social Media accounts. Other considerations: Utilities, rates, credit cards, store cards, reward programmes, passports, subscriptions & memberships, superannuation, Finance / Lease companies, mortgage holders, investments etc – Hopefully they have filed all these documents in an easy-to-find spot for you. You may like to enlist the help of family and close friends to get through it all and we recommend you seek legal advice before taking any action. But most importantly, take your time and give yourself a chance to breathe. To qualify for the full pension, the Government is increasing the assets test limit to $375,000 for couples and $250,000 for individuals. From 1 January 2017, your pension will be reduced by $3 each fortnight for every $1,000 of assets you own over the full pension limit. One way to reduce your assessable assets is to pre-pay your funeral. There are so many added benefits: The peace of mind that comes with knowing your funeral is all taken care of – one less thing for your family to worry about; it’s paid for at today’s price so your family will not pay a cent more for the options you choose and you can make decisions about your funeral, taking the guess-work out when the time comes. If you’d like to discuss pre-paying your funeral with Sovereign Funerals, please get in touch and we’d be happy to talk you through the most suitable option. It’s the most wonderful time of the year! That is, unless you’re grieving the loss of a loved one. Facing your first Christmas after their death can feel lonely and painful. But there are some strategies you can implement to help you survive and even enjoy the festive season. Plan Ahead: If waking up alone on Christmas morning is too much to bare, plan to stay with family or friends on Christmas Eve. Spending Christmas morning surrounded by loved ones can be a great source of comfort. If you’re facing Christmas alone, seek out places where you may be able to volunteer your time on or around Christmas Day – churches, aged care facilities, hospitals, community centres and pet shelters. Bringing joy to others, can bring a little bit of joy to yourself. Traditions: If your loved one had a Christmas tradition, don’t stop it. Traditions transcend generations and connect us with our heritage and family story. They’re so important, especially at this time of year. Christmas Lunch: Phil recalls the first Christmas following the deaths of both his Grandmother and his brother in the same year. The thought of sitting around the Christmas table without them was unbearable. But when he finally came out of his room, his mother had lit 2 candles and put them at the places where his Grandmother and brother would have sat. It was a lovely way to acknowledge their absence, and the fact that they would never be forgotten. Be honest: If you’re struggling, don’t bottle it up. Let your family and friends know how you’re feeling and you’ll likely give them courage to admit they’re struggling too. Be kind to yourself: Take it one step at a time and remember, Christmas is an emotional season, so listen to your emotions, journal and take time out with a good friend or counsellor to talk about it. And treat yourself to some TLC – a massage, a night out, or a second helping of Christmas Pudding might just help to lift your spirits. We’d like to take this opportunity to wish you all a happy and safe Christmas and all the best for a wonderful new year. We are available 24/7, throughout the festive season. Can’t Afford a Funeral in Brisbane? The death of a loved one can occur unexpectedly, especially when it’s under tragic circumstances. And the cost of a funeral can add to the stress during this difficult time. If they have pre-paid their funeral, this can relieve the financial strain. But what happens if you can’t afford to pay for an unexpected funeral? You may consider cremation, followed by a low-key memorial service. It’s more affordable than a burial because it means you don’t need to purchase a plot in a cemetery. And there are a number of creative ways you can store or distribute the ashes to honour your loved one. 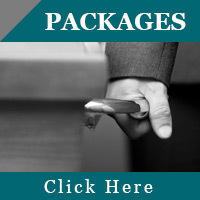 Our Funeral Packages are affordable and we will talk to you about tailoring an option that suits your budget. If you’re still unable to pay for a funeral, you may be eligible for Funeral Assistance. Contact your local Magistrate’s Court or the Coroners Court of Queensland. You’ll need to supply details of the financial situation of the deceased person and their spouse, or parents if they’re a child. We’re here to help so please give us a call if you have any questions about our funeral packages. and to share memories together with family and friends. Personalising a funeral is a wonderful way to help everyone remember the things they loved most about someone you all cared greatly for. Place some photos around the room. Traditionally, families will place a framed picture on the coffin to help people remember a loved one when they were at their best. Putting a collection of photos around the room will bring back fond memories for each person who was close to your loved one during different life stages… childhood friends, college roommates, sports teammates, workmates and of course, family. A personalised tribute video can include a selection of photos and even videos, with a soundtrack of their favourite songs, to help tell their life’s story. It can be played during the service, and/or a powerpoint of photos can be playing as people arrive. Sovereign Funerals can create a complimentary memorial video for you. Create a memorial table. As people walk in, a table laid out with mementoes of your loved one can elicit fond memories over a lifetime of emotions and events; their favourite hat, medals, awards, uniform, sports team scarf, even photos can be laid out on the table. A board full of quotes. If your loved one was famous for their sayings, what better way to remember them than to share their best quotes. You could even leave pen and paper on the table for people to write out their favourite quotes to share. A smile jar. There will be a guest book at most funerals to help you remember who was in attendance. Something that’s a little more personal is providing funeral attendees with the opportunity to write down a fond memory they have of the deceased to be placed in a jar. These could be read out at the Wake and kept for those times when you’re feeling low. Opening the jar and reading happy memories about someone you love dearly can bring a smile to your face when you need it most. Every person is unique, so every funeral is unique. If you’d like some help to plan a personalised funeral, please get in touch with us. We’d love to help you. So here are some suggestions that might assist you to plan a memorial service that’s as unique as your loved one. The Funeral Service generally takes place within a week of your loved one’s death. During that time, emotions can be very raw and making decisions can be difficult. Pre-planning your funeral will relieve some of this stress for your family. Regardless, as time goes by, you might feel more ‘ready’ to celebrate their life and honour them in a deeply personal way. If your loved one has been cremated, you may hold a memorial service once you receive the ashes, as a mark of respect when you decide what you’ll do with them. A memorial service can take place days, weeks, or even months after the funeral, giving you more time to consider how you’d like to honour your loved one. You may choose a location that was significant to them – a park they loved to visit, a restaurant they frequented, sporting venue of the team they loved, a bush setting, a city scape, your own home, or even a different country they loved to visit. If you choose an outdoor venue, make sure you have a wet weather plan! A memorial service can be a celebration of all the things that made your loved one unique. So choose a style that they would have liked. Get everyone to dress up in their team colours, or in black tie if they enjoyed the finer things in life. If they had a sense of humour, make sure your style captures that. If they loved classical music and books, make that your theme. It will help everyone remember them fondly and encourage story sharing. Have some photos of your loved one around the venue taken on family holidays, significant events etc to help guests remember the good times. If they had a distinctive music style preference, that makes the job of choosing the soundtrack to their memorial service much easier. You could ask guests to email you in advance with the name of a song that makes them think of your loved one, to make it even more personal. If you’re going to serve food at the memorial service, it can be a nice touch to serve the food they loved. You might also serve some of the foods they hated! One family fondly remembers the memorial service for their beloved grandfather. He loved curried sausages and pasties but hated pizza and ice cream. The family recognised that their grandfather’s food preferences wouldn’t be to everyone’s tastes, so they lovingly set two tables. One was called ‘food pop loved’ and one was called ‘food pop hated.’ Both tables raised fond memories for the guests. There may be some people close to your loved one who were too raw with emotion to speak at their funeral, but now feel ‘ready’ to give a speech. You may like to open the floor to anyone who’d like to say a few words about your loved one. This can be a little risky but nothing a seasoned MC can’t handle! At the end of the day, a memorial service can be as grand or as simple as you like. What really matters is that your loved one is celebrated and most of all… will never be forgotten. If you’d like help to plan a memorial service for your loved one, please contact us and we’d love to help you. Funeral songs can evoke deep emotions during a difficult time. So how do you choose the right song/s for the funeral of your loved one? We’ve put together a list of the Top 10 songs that celebrate life. This song is a beautiful celebration of a special father-daughter bond. The fact that Natalie created this duet after her father’s death makes it even more relevant as a funeral song. This song was made famous when it featured in the much loved movie ‘Beaches’ which celebrates the deep friendship of two girls, cut short by cancer. Its words are a message of ‘thanks’ to a loved one who has been your cheerleader. Relationships aren’t always easy. This song is about all the things you wish you’d said to your loved one while they were still alive and a timely reminder to tell the people around you how you really feel about them while they’re still here. This would have to be one of the most popular funeral songs of all time. A perfect way to celebrate the life of your loved one who danced to the beat of their own drum. For someone who has left an indelible mark on the lives around them, this song celebrates their legacy with beauty and grace. A favourite for karaoke lovers, this powerful ballad celebrates the ‘overcomers,’ the ones who have been through a difficult time and shown incredible endurance and courage. This song is a beautiful way to honour a parent or mentor at their funeral. Its lyrics are everything you’ve ever wanted to say to them. This song sums up a life enjoyed and cherished. The loved one who was truly grateful for everything and everyone in their life, however simple it might have been – this one’s for them. A lovely reminder that remembering your loved one need not be a constant source of pain. Think of them each time you smell a flower or hear a bird sing and remember how their presence brought you the same joy. Do you already know what song you’d like to have played at your funeral? Make sure you tell someone, or even better, pre-plan your funeral and take the guesswork out of every detail for your family.